Although TV might continue to be the most dominant medium for ad spend, the rise of mobile is difficult to ignore. Both Facebook and Google have contributed to an increasing need for companies to make sure they’re connecting with their customers through mobile channels. The two accounted for about 60% of all ad spend in 2017. So, with that information in mind, it’s important for you to start thinking about whether your mobile presence has the power to captivate and convert your audience. The following tips could help. 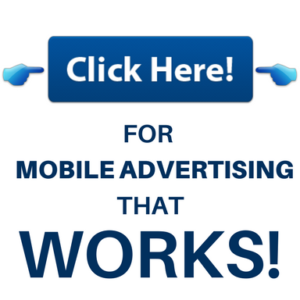 Before you begin running your mobile advertising campaign, you should take the time to set goals for your business. Once you’ve figured out exactly what you want to achieve, you can begin to define what conversions will look like to your brand. To get you started, think about what your customers can do on their smartphone to help them connect with your brand. A conversion might be a customer calling your company for more information or connecting with you on instant chat. On the other hand, for some businesses, a conversion might be something as simple as a customer signing up for text alerts or making a reservation on their smartphone. Defining your conversions will help you to structure your mobile advertising campaign and track your success. No matter which medium you might be using for your marketing campaigns, it’s important to remember that adverts can get boring when they’re repeated time and time again. Eventually, when customers see the same thing too often, they begin to tune it out. And that means you’re basically wasting your marketing money on media that isn’t getting results. Make sure to develop a range of interesting and engaging experiences for your customers to interact with. For instance, you might develop a combination of dynamic ads, display banners, videos and more.